You’ll be hard pressed to find a finer safari experience than what Zambia has to offer. Spectacular hot springs and sunset is an absolute must see. Relax and enjoy a sunrise/sunset boat cruise at Kafue National Park and expect to see sable, elephant, kudu and roan antelope on this journey through the park. A fully qualified safari guide will meet you at Chobe Safari Lodge campsite. You will have a briefing and explanation on what lies ahead, thereafter, a nice “kuier” around the braai fire. Camping fee is included in the price. Firewood for sale. Enjoy a morning game drive (cost around 290 Pula for a vehicle with 2 persons, excluded) in the Chobe National Park. The Chobe National Park is famous for its abundance of elephants, herds of buffalo, rich bird life and exquisite sunset boat cruises, definitely a wildlife experience not to be missed. The cost of the cruise is included, leaves the main lodge at 15:00 and return just after 18:00. Leave early morning. Cross the Zambezi River at Kazungula, change money at the border and in Livingstone and head for Lusaka where you will camp at Eureka Farm. One ablution serves the whole campsite and electricity is available. This is just an overnight stop on route to the eastern side of Zambia where the real experience will begin. Chalets are available at own cost, pub grub can be enjoyed at the bar. Firewood needs to be catered for by yourself. From Lusaka, battle through the traffic and drive on the Great East Road to Chipata. Stop for a quick lunch at Bridge Camp before crossing the Luangwa River. Spend the night at Mama Rula’s. A well stock bar as well as dinners can be ordered and enjoyed at the bar. Electricity is available. Firewood is not supplied. Fill up with supplies and fuel in the morning at the local Spar. Please note that you are not allowed to buy any alcohol before 10 am in Zambia. There are facilities in Mfuwe if you ran out of refreshments. Once done, leave Chipata on a half day’s drive to South Luangwa National Park for the next three nights. On your way, stop at Tribal Textiles for a very interesting visit. Pitch camp at Wildlife Camp on the banks of the Luangwa River and spend our days game viewing and relaxing. Firewood is for sale, electricity is available. 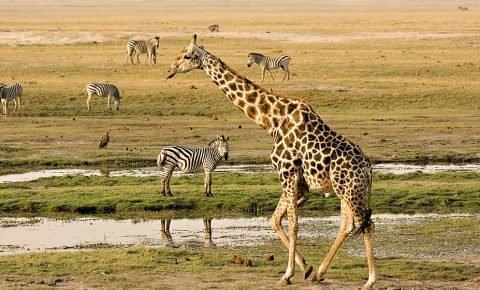 Depart on a game drive the morning into the park to look for Lion, Elephant, Giraffe, Zebra as well as the numerous water birds found along the banks of the Luangwa River. Optional night drives at 50 US$ are available, leaving at 16:00 and return at 20:00. You can use the same permit of the morning’s drive for the night, saving the extra entrance fee. Today is a day at leisure. Catch up on sleep, washing, swim or wander around the market and shops in Mfuwe or go back to the park for another game drive at own cost. Sandwiched between North- and South Luangwa National Parks, Luambe National Park will be our next stopover. Camping at Luambe Lodge, you will experience plenty of hippo in the river. Firewood is supplied. Today is the beginning of “the road less travelled”; distance becomes irrelevant, time is the determining factor. Camping is for one night only. Today you will cross the Luangwa River with the Mwanja Pontoon which is a very interesting experience on its own, unless the water level is low enough to drive through the river. North Luangwa National Park is one of the last unspoiled true wilderness areas left in Africa. 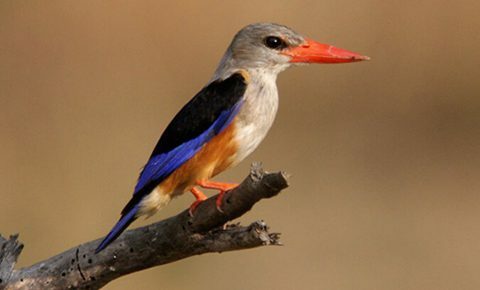 North Luangwa is normally open from the 1st of June to the 1st week of November. Stay at Buffalo Camp for 2 nights in chalets. You will make use of the “kitchen” to prepare your own meals for the duration of your stay. The area is predominately for walking safaris, no self-drive are allowed. Walks are not an endurance trip but more of a meander. Normally these last approximately 3-4 hours. These trips are conducted by highly experienced Zambian guides and are always accompanied by an armed Zambia Wildlife Authority (ZAWA) scout. Game drives are also available and can be arranged upon arrival. No electricity at the camp. Enjoy the quietness of the camp, a walk with the guides, game drive or just relax. Today you leave the Park to set up camp at Kapishya Hot Springs. Kapishya is situated close to the Estate of Shiwa Ngandu (The Africa House) and is set along the banks of the Mansha River. The main attraction of Kapishya is its natural, sulphur free hot spring. Kapishya has a fully stocked bar and a restaurant serving high standard cuisine. Firewood is supplied, but no electricity available in the campsite. There are various activities available at Kapishya and on the estate such as game drives, visits to the Manor House and bird walks. All activities are optional extras and must be pre-arranged with the management at the lodge. Kapishya Hot Springs. Relax, do some washing, reading, bird watching, game drive or visit to Africa House. Leave Kapishya in the morning, hit the tar road and turn south on the Great North. Fill up at Mpika before heading towards Forest Inn campsite at Mkushi. Restaurant and bar facilities are available. Overnight in the neat and shady campsite just off the main road. You will need to cater for your own firewood for the night. Leave in the morning for Kafue National Park via Kabwe and Mumbwa. Stop for supplies at Shoprite in Kabwe, and set up camp on the banks of the Kafue River at McBrides Camp for next two nights. This is a very rustic campsite close to the river with hot water. Africa’s largest game reserve, the Kafue, diverse and richly endowed, remains as it has been for centuries. 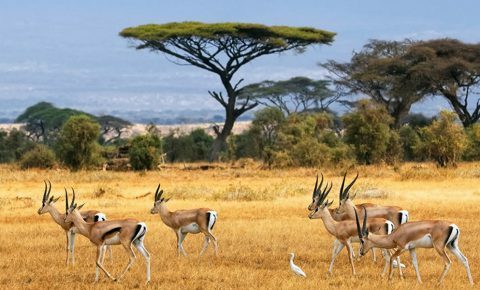 Bordered by the blue-green Kafue River, the park stretches from the vast Busanga Plains in the north to the Miombo woodlands of Nanzhila in the south. Prolific indigenous as well as migrant bird life is encouraged by the Kafue and Luangwa rivers as well as Lake Itezhi-Tezhi in the South. No electricity and no firewood for the campsite. Relax and enjoy a sunrise/sunset boat cruise, morning walk or visit the hot spring and make brunch. Time to move further south and brave the bumpy road back to Mumbwa and we head for New Kalala Camp or Hippo camp in the southern part of the Kafue NP. Situated on Lake Itezhi-Tezhi where we will spend the night. The access road is under construction, so yet another challenging day of travelling. Break down camp and leave for Livingstone via Kafue park. Expect to see Sable, Elephant, Kudu and Roan Antelope on our 3 hour journey through the park. Thick sand makes for exciting driving. We will overnight two nights in the campsite of The Bushfront. The Victoria Falls is approximately 1690m wide and varies in height from 62m (Devil’s Cataract) to 109m (Eastern Cataract). In comparison the Niagra falls are 968m wide and 45m high. Various activities e.g. helicopter- and microlight flights, bungee jumping, white river rafting, etc. are available at Livingstone. You will need to supply your own firewood, but the campsite have a restaurant, bar and swimming pool. Chalets for upgrade are also available. 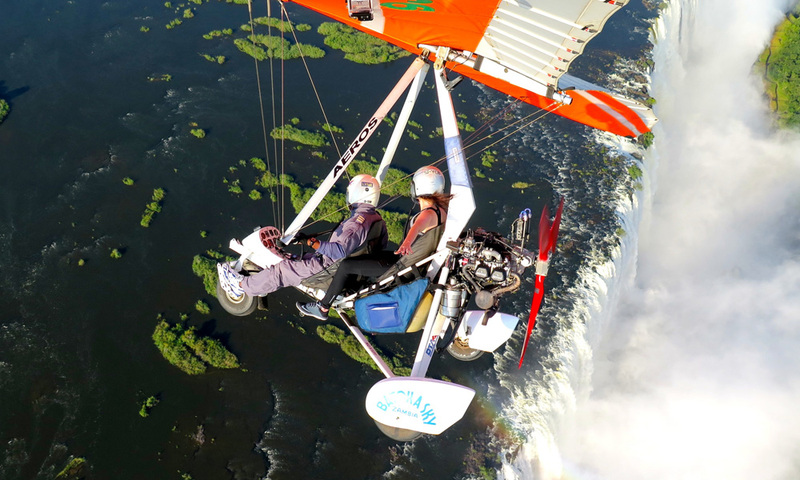 Today, visit the Falls, shop at the market, fly microlight, wash the vehicle or enjoy a sundowner on the deck of the Royal Livingstone Hotel, an awesome experience that is recommendable. As this is your last night and you might consider having a farewell dinner at the Green Leave restaurant, a specialist Indian cuisine restaurant on the main road. This is where the safari ends.